You, the patient/guarantor, are responsible to know the terms of your health insurance plan and the services your health insurance plan covers. You are responsible for securing a referral for treatment (if required) from your primary care physician. Payment of co-pays and deductibles are expected at time of service. You will also be responsible for any services provided that are not covered by your insurance plan. 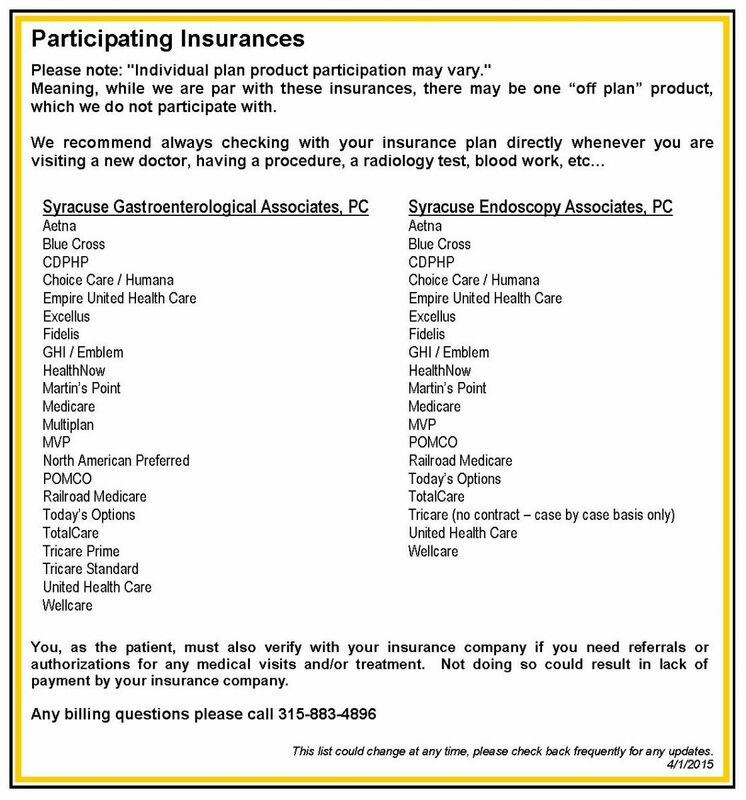 We highly recommend that you contact your insurance company prior to any appointment, test, or procedure so that you are aware of your coverage and benefits. If prior approval is required, please make sure that your physician has done so. If you are uncertain, call your insurance's customer service department for assistance. Payment is required at the time of service. Please contact the office prior to your appointment at 315-234-6677. We accept cash, checks, money orders and most major credit cards (Visa, Mastercard, and Discover).